February 11, 2017  Constanza Romero Wilson speaks about continuing the legacy of her late husband, playwright August Wilson. 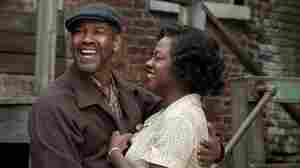 His play-turned-film Fences, is nominated for several Academy Awards including Best Picture. December 15, 2016  Director/star Denzel Washington faithfully adapts August Wilson's searing, Pulitzer-winning play. The brilliant result is "moviemaking as public service," says critic Andrew Lapin. 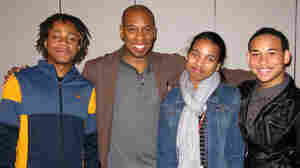 March 7, 2013  The legendary American playwright's words and characters are central to a national monologue contest that gives high school students a chance to discover themselves in stories of his Century Cycle. October 2, 2007  On the second anniversary of the playwright's death, Michele Norris talks to two actors from the Broadway production of his final play, Radio Golf.